Something a little different for our latest TWE Vinopolis tasting – Indian single malt. 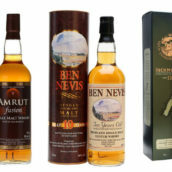 It has taken time for Indian whiskies to be taken seriously by traditional whisky drinkers, but the best now stand toe-to-toe with their Scotch counterparts – and sometimes beat them. Our host was the engaging Ashok Chokalingam from Amrut Distillery, based in Bangalore in southern India. Amrut Single Malt – tropical fruit, candied orange, toffee and vanilla. Fruit salad in a glass. Amrut PX Single Cask – dark berries, boozy raisins, dark chocolate and espresso, very rich. Amrut Naarangi – Oranges and lemons, honey and malt, oat biscuits and syrup. Sweet, clean and full flavoured. Amrut Portonova – Butterscotch Angel Delight, with liquorice, cherry and toffee, plus refreshing red fruits. 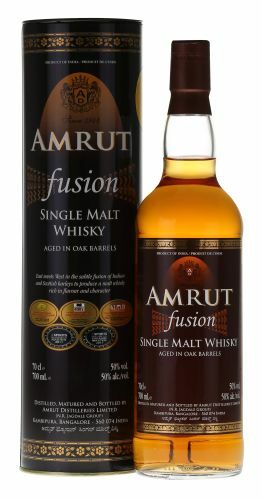 Amrut Fusion – Stone fruit, sea spray and cloves, with cinnamon, black pepper and clean citrus. Great balance; an absolute bargain. 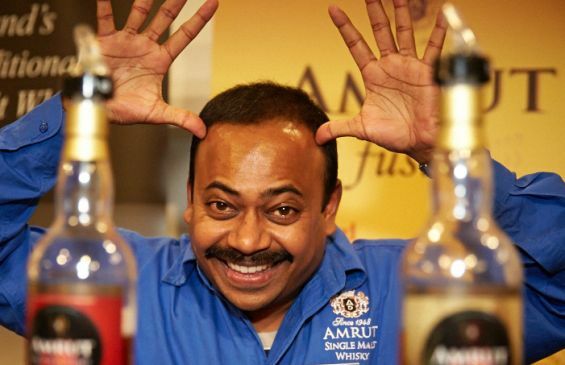 Amrut Indian Peated Malt – Tar and smoke, with a refreshing fruity, nutty note. Rich earthiness combined with sweet spice. Plenty going on here. @TWELondonBridge @Amrutsinglemalt Peated. Germolene cheesecake palate. Tastes better than it sounds. It has to be Amrut Fusion. Made with Scottish and Indian barley, this is a phenomenal whisky for under 50 quid. 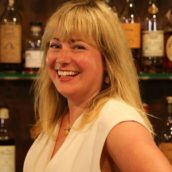 Jim Murray gave it a whopping 97/100 in his 2015 Whisky Bible. Nose: Fresh and tinned fruit – peaches, mangos, apricots, plus spicy cinnamon and clove, joined by aromas of Earl Grey tea and just a touch of smoke and sea spray. Palate: A real hit of fresh fruit and citrus-orange notes, with black pepper and cinnamon adding a zingy layer of spice. Rich and refreshing; absolutely delicious. Finish: The spice and fruit linger for a long time. 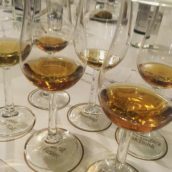 Many thanks to Ashok for an entertaining tasting – each whisky was very well received, particularly the Fusion and the Naarangi. 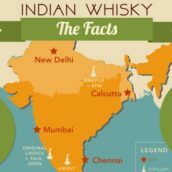 What came through was his persistence to put Indian whisky on the map, travelling the world to persuade bars and retailers to stock Amrut. His hard work has paid off.